Founded in 1980, the American-Arab Anti-Discrimination Committee (ADC) is a civil rights organization committed to defending the rights of people of Arab descent and promoting their rich cultural heritage. Karama means Dignity in Arabic. The organization was established in 2002 as a non-governmental organisation situated in Deheishe Refugee Camp, Bethlehem in the West Bank. The organization works independently and is not affiliated with any political party or movement. 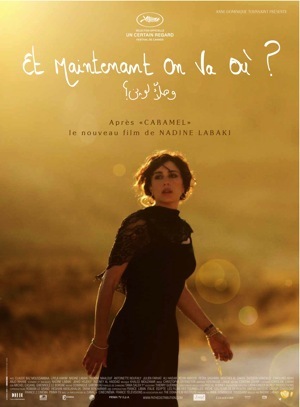 Tagged with: American-Arab Anti-Discrimination Committee, Nadine Labaki, San Diego, Where Do We Go Now? I strongly recommend you to watch this movie. It is a true, ironic, dramtic and funny piece. Hi some of us Point Loma Dems did go to see this movie. Some of the scenes were incredibly funny, some so sad but the entire movie was very good. I can only speak for myself, but I liked the movie and recommend it.